The world has produced a litany of manifestations and descriptions of public administration. In doing so, almost 200 countries have succeeded in creating a parade of acronyms, organizational charts, job descriptions and pension packages. So what would one call a country’s governmental manifestation or what eventually becomes public administration? I think I might know. The elections, debates, budgets, scandals, corruption and revivals make up the portrait of a nation — its art of implementation. Its previous governors, constitutions, battles, bridges and monuments are put on display for marvel and awe. Even a country’s destruction is presented in silence and reflection. All of the before stuff, the historical perspective and what is called the past, is trotted out and presented in museum quality at eye level. There is not a nation on earth that does not conjure up its own version of before. I know that last sentence sounds oversimplified, but believe me, it’s not. What most nations and what many countries may fail to realize is that our current government and the degree to which we provide public service is presently the before stuff that later generations will set at eye level in future displays. One might say that my analysis is common sense. I would disagree, because the common in common sense denotes a level of shared understanding and from the looks of things, the world seems a bit confused. But, let’s return for a moment to the discussion of art or art as government. During the Paleolithic era and through the Byzantine era and from the Impressionism era to the Post-Modern era—government, has to some degree, mimicked art’s most profound expressions. Even today, public administrators sketch new programs on canvases of virtual paper and temporary ink. They use tables and charts, inserted for effect, to group together a government’s goals, resources and budget items into neat blocks and circles of multi-colored infographics. Program aims, summaries and results are identically mass produced, so everyone knows what everyone knows. We are the after of before, but are we better? Governments around the world are nodding their heads, insisting they are better, convinced they have at least slightly mastered the art of implementation. But, let’s look at the numbers. To what degree are protests increasing, to what degree is internal infighting on display and uploaded to every mobile or non-mobile device one owns and to what degree are the world’s citizens angrier, less tolerant and more dissatisfied? Answer? To the degree that public service is no longer considered precious, priceless or unique. We’re consciously moving away from the art of government and closer to the end of our before. Alas, Dear Friends… all is not lost. In a previous column, I insisted the world’s governments are in a renaissance. I still believe it. I believe there is more than one canvas of implementation and that each government is scraping, painting over, repairing and doing whatever is necessary to keep its most mature elements to ensure its future survival. Survival? Has it come to this? Indeed, it has and make no mistake about it… We are playing for points. Photography allows one to see something through the eyes of another. Public service is supposed to do the same thing. A Dutch tilt or Dutch angle camera shot distorts the vertical and horizontal lines of a photo, giving the viewer a tilt of the shot. When done well, it produces amazing views of subjects. Cameras can capture the permanence of a head tilt in a Dutch angle shot, but reality is in the eye of the beholder. Andy Warhol perfected the blotting technique whereby each successive imprint of a photo or artwork yielded a different image the more it was blotted onto another canvas. In each painting beyond the original, something was salvaged and with the addition of a new color, a new reality emerged and new art created. The same can be said for public administration and for governments that seem real, but are merely titled temporary angles. Public servants are expected to—no, make that, required to–know the difference and to know what’s different. Permanence, or real winning, for government, happens sometimes centuries after a so-called victory. Witness how many constitutions a country has before settling on one, witness the early exclusion of voting classes and the inclusion later of those excluded classes. And finally, witness a host of other rules and wrongs. Warhol was on to something. Because what remains after all the winning is a simple sketch of what’s beautiful. So small, you can hold it in your hand. It can be a single mission statement, a lasting treatise or a piece of a wall. What remains is Art. Governments that survive, governments that love their citizens and governments that know how to win, recycle bricks, good policies and lofty notions. Why? Because those governments and their leaders know that art is worth saving. 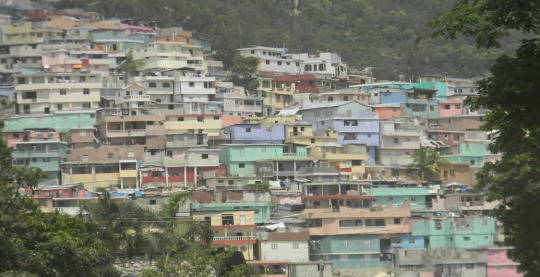 Images: All images were taken by Lisa Saye in Pétionville, Haiti. Its amazing that this illustration is on point to the views of the wisest man that ever live ‘King Solomon.’ The king emphasis that there is nothing new under the sun, the things that hath been, is that which shall be. Your presentation is truly prolific and resonate in my belief of the world and its systems. One can conclude that everything in the modern society is either recycle ideas or are based on previous ideas. The arts of life continues with one paint brush at a time. A prolific analogy. I love it. Thanks so much, Jennifer. Always a pleasure to see your comments. Very interesting article, I do agree with you that the government need to look to the very tiny detail of its communities, therefore, no one will be left behind in access the basic and the necessary public service. Thanks so much for your comment, Abeer. True government success is not leaving anyone behind, especially the poor. A very important article raises a lot of interest in some philosophical questions, the most important question is, are the governmental institutions are public institutions ( work for the benefit of the people)? my answer; maybe in the past, but now I do not think so, The service provided by governments has been linked to capital projects that do not give the public any profit. I do not want to be pessimistic but I think governments are playing the role of customer service (pre-sales and after sales) for big companies, such as drug companies, banks, oil, and arms factories. I do not want to talk any more because I will not stop talking about this interesting subject. Thanks for the great article. Wonderful insight, Hassan. As public servants we must put our insight to work and encourage and inspire government to do likewise for true representation to take effect and change lives. 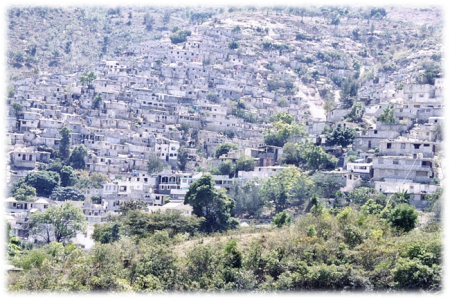 You have elegantly described a government’s love for Haiti, and the beauty of creating its environment. I agree that what remains is “Art”. Excellent article on the survival of a government worth saving. Inspiring artwork, and the Jalousie community reminds me of Jerusalem. Thanks so much, Dyanne. The Jalousie Community is strength, love and determination. Thanks for seeing the ‘art’ in its essence. This is sure thought provoking, Lisa. I don’t know if I agree with you about the nature of art, but this is a way I had never imagined administration. BRAVO!! I can’t thank you enough for your comments, Bethe. As always, this piece is on point, elevating and exhilarating. More grease to your elbows. Much appreciated, Mike. Thanks so much for reading the column each time. Dr. Saye another well written, and insightful article by you. I agree with you completely, governments must understand the importance of caring for its citizens. Great job once again! Many thanks for the kind comment, Dr. Robinson.